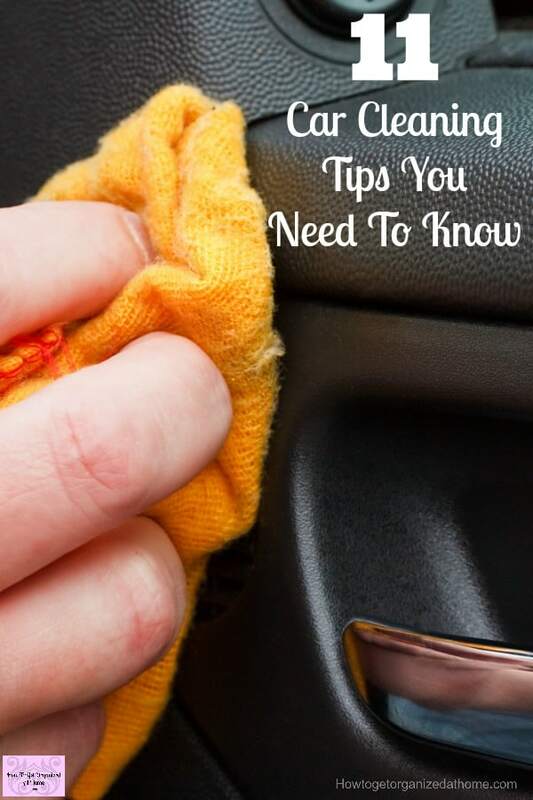 11 Car Cleaning Tips You Need To Know To Keep Your Car Clean! Don’t let an expensive item, your car, sit there dirty and unkempt, when it is often an important tool in your life; looking after it can help prolong its life. 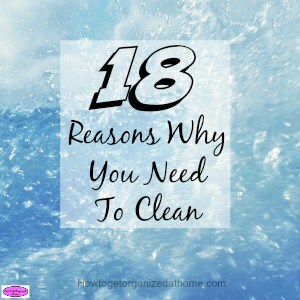 Learning how to clean your car is important as you don’t want to damage it! When washing your car start from the bottom and work your way up the car, this way you don’t miss any of the dirt. I know that so many people tell you to start at the top and work down, this is the reason that so many cars end up with dirty patches at the bottom because you are no longer able to see the dirt clearly. Use a sponge to wash off your car; this is the easiest way to apply the soap mixture to your car and to get the dirt off. When you rinse off the car, start at the top and work down, this gets rid of the dirty water and shampoo of the car. 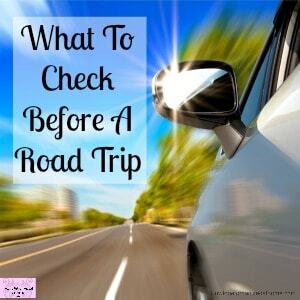 Once you have rinsed the car, it is important that you take your time and dry it too, this will have an immediate effect; dried water will leave marks, drying the car with a chamois-leather, the best option available, the car will be visibly cleaner and no watermarks smearing the paintwork. Use a toothbrush to get those alloys clean. It is important not to use your toothbrush or any members of your family’s toothbrush for this task, make sure it is either an old one or one that you purchase especially for cleaning your alloy wheels! They are the perfect size for getting into the small areas and getting them really clean. Vacuum when it is most convenient for you. It doesn’t make any difference if you vacuum first or last. 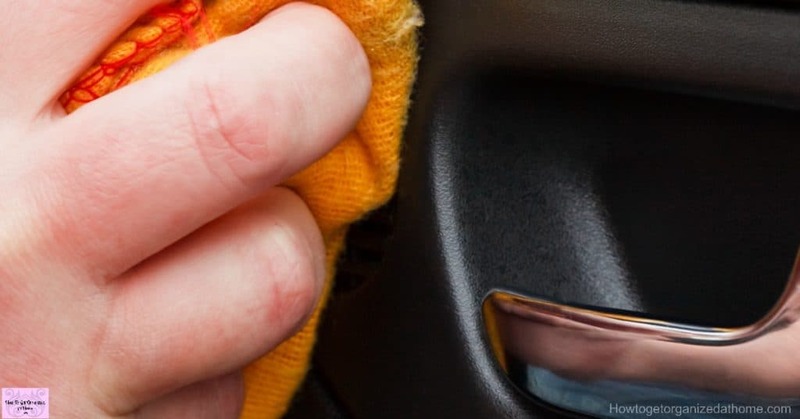 The only reason to vacuum first is if you are then dealing with water in the same area, you are not transferring any water into the interior of the car. Don’t use washing up liquid this is for washing dishes and car shampoo is for washing cars, it does matter. This is the same as putting polish on your car, this is a necessity as it is there to protect the paintwork; there is a difference in how a polished car feels to the touch compared to a non-polished car. Hand washing is better than putting your car through a car wash; they leave marks on the paintwork, these are noticeable and could potentially decrease the value of the car. Hand washing is also easier to check the bodywork of your car because you are hands on with the car, you will see problems easier. Using a microfiber cloth designed for glass as well as using a product like this, which makes the water run off the glass, is fantastic, it makes driving in wet conditions so much better than you can imagine. 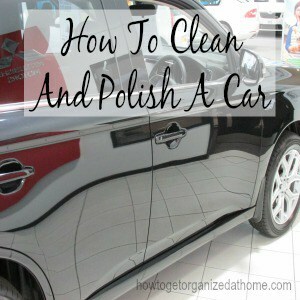 Use household polish or plastic cleaner for the interior of the car. A plastic cleaner like this is great and does the best job; however, furniture polish does a great job too. If you are using furniture polish, just be careful where you are applying it, you don’t want the steering wheel to become too slippery or your foot pedals slippery under foot. When you vacuum out the interior of your car, a crevice tool is vital; it allows you to get to some very awkward areas. A brush is also a great tool for getting out dog hairs from inside the car. When vacuuming the car don’t forget to lift out the carpet from the boot and vacuum underneath, there is often lots of dust and dirt that can make its way under there! Therefore, it is important to realize these car cleaning tips are important when you clean your car. Keeping your car in the right manner it shows respect for the things that you own. It is something of value, some are more expensive than others are, but they have equal value in that you need them to get you from point A to point B. Why do this in a vehicle that is dirty and something that doesn’t show respect for yourself? It is a part of being an adult that we take pride in our possessions and ourselves, I don’t mean that having a dirty vehicle is a total disaster, but if we respect our family, and ourselves, having a clean car is something that we should want to show that respect. Great tips! My poor car really needs some attention! 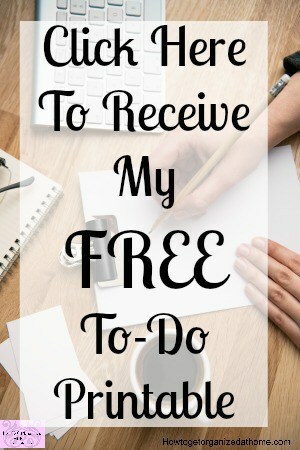 I will hopefully have some time this weekend to give these tips a try! I am very lucky, when my car goes in for annual service they valet the car inside and out and my husband has the job of cleaning it in between services, so no mucky hands for me!! Also, polish doesn’t protect paintwork, sealants and waxes do. Thank you for taking your time to respond! As long as you are cleaning your sponge you won’t scratch your car!